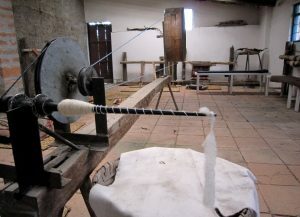 “Four generations or perhaps even more” says Miguel Andrango, master weaver, when I ask him how long his family has been in the trade. He himself can remember that far, but admits that there may have been more family members involved even further back. As for the present, he tells me that his four sons and daughters are involved in his ‘Tawantinsuyo Weaving Workshop’. “And the grandchildren are learning too”, he says with a natural mischievous smile that speaks volumes about who he is. Miguel is now in his eighties, although he won’t tell me exactly how old; “about that” he says when I press him. 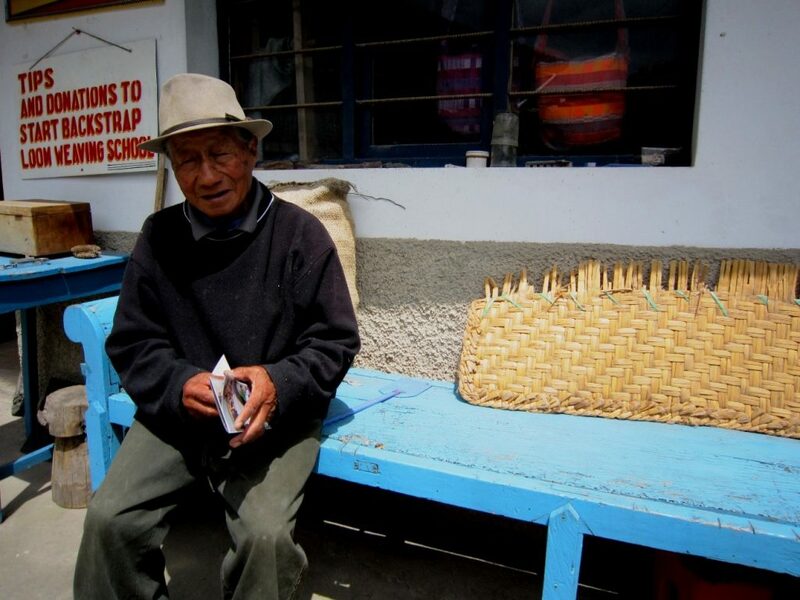 He’s been weaving since he was seven years old, he declares proudly, here in Agato, a small community nestled between the placid Andean Lake San Pablo and the striking verdant mass of Mount Ibarra towering over the workshop yard. This is spectacular country. Today mist shrouds the top of the mountain, at more than 3,000 metres above sea level, but it still manages to take your breath away, and not for lack of oxygen. It’s easy to imagine that living at the foot of such a marvel would make you both humble and inspire you at the same time. Given the mountain’s towering presence it’s not hard to understand why the now extinct volcano is part of local folklore. Taita Imbabura as it’s known here, or Taita Manuel Imbabura in full, is the ‘father,’ and they say he’s getting on in years; his white hair is now covered with the large hat he rarely takes off. Located on the other side of the broad valley is ‘mama’ Mount Cotacachi, or Maria Isabel Cotacachi, the volcano that overlooks the route down to the coastal plains. 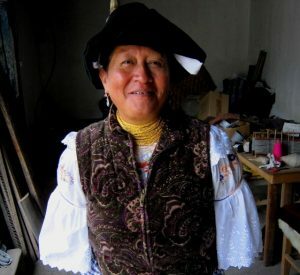 The two of them are the protectors of the lakes that can be seen all over this area and, according to legend, after many years of admiring each other Taita Imbabura finally declared his love for Mama Cotacachi, and they had a son called Yanaurcu who can now be seen to the right of his mother. 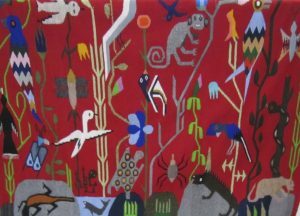 Miguel’s Ecuador art has taken him abroad, mainly to exhibitions and fairs in the United States, he says, where he is recognized as a master weaver. He hasn’t been travelling these last years, his wife died four years ago and his health hasn’t been the same since, he says sadly. 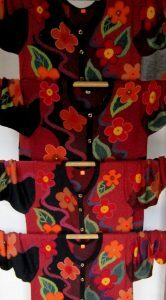 But he brightens when he tells me that maybe this year he will make the trip to New Mexico where he’s been invited to take part in a major fair in Santa Fé. “We’ll see,” he says with an infectious smile. 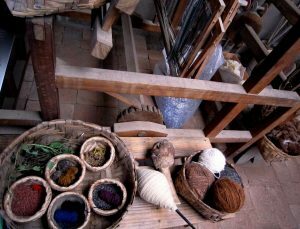 So come and get to know Miguel and his Tawantinsuyo Weaving Workshop. He’s waiting to welcome you. 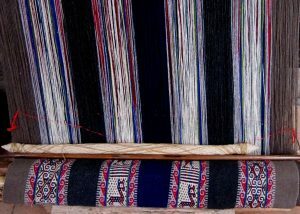 Visit him on one of our programs to Otavalo and see his outstanding work for yourself or, even better, join our Otavalo Lodge-to-Lodge walking program and take advantage of a special opportunity: have lunch with him and his family and enjoy a short weaving presentation and master class.